Aloha Medicinals, Eclectic Institute, Fungiology, Fungi Perfecti, LifeExtension, Nature's Answer, Nature's Herbs, Nature's Way, NewChapter, Organic Mushroom Nutrition, Paradise, Pharmanex, Pure Essence Lab, Ron Teegards's Dragon Herbs, Solaray, Sun Potion, Swanson. Vitacost, Vital Nutrients. Reishi mushroom (Ganoderma lucidum) supplements are usually marketed for their effects on longevity and immune health. 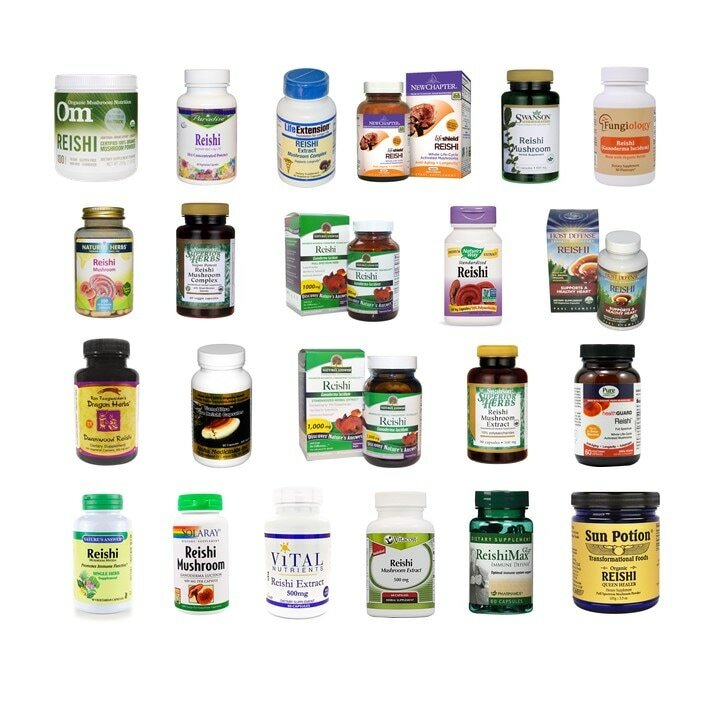 These supplements may be recommended for enhancing immune system. However, Reishi mushroom is used in the Traditional Chinese medicine to fight cancer. Several scientific studies support anti-cancer effects of Reishi mushroom in humans. Some reviews are rating Reishi mushroom for their easiness of use, satisfaction, amount of reishi stated on the label, published studies and subjective customer rating. These reviews are NOT evaluating the ACTUAL ANTI-CANCER efficiency of specific Reishi supplements. Do you want to know which Reishi/Ganoderma dietary supplements are worth your money? DSTest Laboratories tested 22 Reishi/Ganoderma dietary supplements for their potency to kill breast and prostate cancer cells. DSTest Laboratories found that the you will pay 17 cents to 5.13 dollars for the active dose of Reishi supplement. Moreover, some of the tested Reishi/Ganoderma products DO NOT have ANY ANTI-CANCER EFFECTS. Do you want to know what is the Right Price for your potent Reishi supplements?